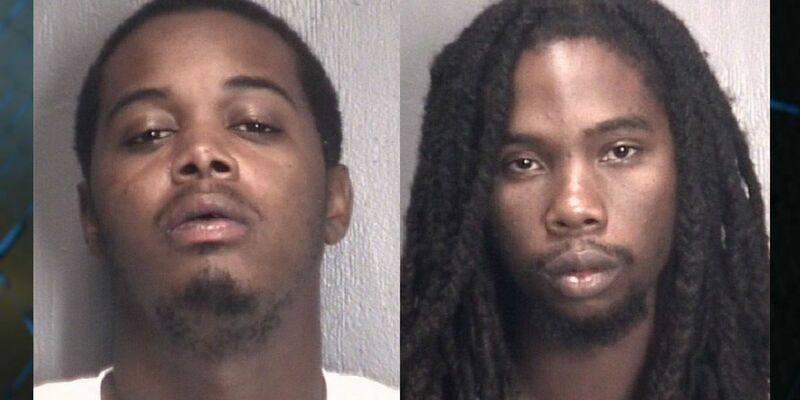 RALEIGH, NC (WECT) - Two Wilmington gang members were sentenced to federal prison for selling heroin, according to the U.S. Attorney’s Office for the Eastern District of North Carolina. Deandre Sweet, 27, was sentenced to over 8 years in prison, while Kyeric Sweet, 25, received 7.5 year prison sentence. Both men will served three years of supervised probation following their incarcerations. On Sept. 19, 2016, a joint investigation by the FBI Safe Streets Task Force Gang Unit and the New Hanover County Sheriff’s Office Vice and Narcotics division arranged an undercover purchase of heroin from Deandre Sweet. When Sweet arrived in a Wilmington parking lot to complete the sale, law enforcement stopped his rental car and confiscated 500 bags of heroin. Prosecutors said Deandre Sweet imported more than 500 grams of heroin from New York and New Jersey to distribute. A portion of this heroin shipment was provided to gang members in the Wilmington area. During the same join investigation, undercover agents conducted several controlled purchases of heroin from Kyeric Sweet between June and October of 2017. On Oct. 12, 2017, Kyeric Sweet was taken into custody while in possession of heroin and more than $2,500 in cash. A third person, Diquell Sweet, pleaded guilty in August to heroin and weapons charges and was given at least 8 years in prison. All three men are related. These cases were part of the Organized Crime Drug Enforcement Task Force Investigation nicknamed “Tooth Fairy” which targeted gangs and heroin distribution in southeast North Carolina. This investigation was conducted by the FBI’s Safe Streets Task Force, Wilmington Police Department’s Gang Unit, and the New Hanover County Sheriff’s Office.